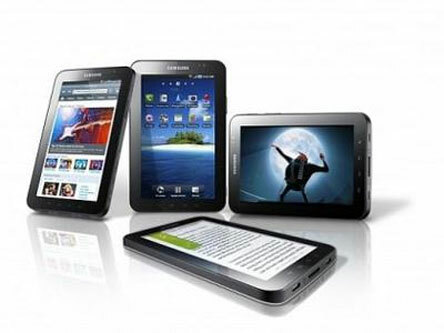 Samsung has become the smartphones and tablet giant perhaps. It is releasing day by day a new device whether in smartphone category or in tablet category. After some time it might seem that everywhere would be Samsung and Samsung. Samsung is soon going to launch a 10 inch tablet named ‘Roma’ which will be an high end tablet against its rival Nexus and others. It is expected that it will be coming with 10.1 inch display with pixel density of 299ppi. It will be powered by 1.7 GHz dual core Exynos 5 processor with 2 GB of RAM. It will be with 16 GB in built storage expandable to 128 GB with a microSD card. It will come with 5 mp rear camera and 1.9 mp front camera, if more megapixels then it could be better. It will support 4G LTE connectivity with other connectivity options such as 3G, Wi-Fi, DLNA, Bluetooth 4.0 and with Micro-USB. It will run on Android 4.2 Jelly Bean operating system. It hasn’t yet been confirmed when this device is going to be launched and how much it is going to cost but it will be a high-end tablet.So if you are thinking of buying a high-end tablet and can wait much then this Roma tablet is going to be a good option for you.